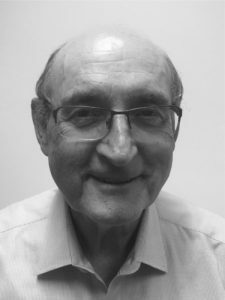 Keith is an accredited business law specialist, specialising in conveyancing, wills and estates. He has extensive experience in sole private practice covering almost all areas of legal practice in NSW. Commercial: over the past 39 years, Keith has advised a large variety of significant clients with key ongoing engagements in advertising, technology, finance, real estate and investment sectors and has advised on a range of international transactions. Property & Conveyancing: Keith has extensive experience in conveyancing matters acting for purchasers, vendors and lenders. Keith also deals with developments/off the plan conveyancing in NSW, QLD and VIC. Probate and Succession: Keith has extensive experience in obtaining and administering deceased estates through Probate or Letters of Administration. Professional Indemnity Claims: We have assisted many clients to resolve unsatisfactory experiences they have had with previous lawyers. Law Society Referral List: Keith Hurst & Associates is registered with the Law Society referral list in many areas of Legal Practice.